Lipstick and Lemondrops: WIAW #12 & An Appropriate Theme! Hi All! I hope everyone survived yesterday's back-to-school-bonanza! Even if you are not a teacher/student/parent, I'm sure you could feel the back-to-school chaos floating in the air. Normally, I find the first day back a little hectic (to put it mildly) but this year everything went surprisingly smoothly. A little too smooth. It makes me wonder what I have to look forward to the rest of the week. Don't get me wrong. I'm a super positive person... but I know better. And I'm pretty sure the kids still have some tricks up their sleeves that they've yet to show! But enough about that. It's time for another episode of What I Ate Wednesday. And since I missed last weeks WIAW, I have some food sharing to catch up on. I've had some yummy eats lately so let's get to it, shall we? The theme for this month is FALL... plus some goals. 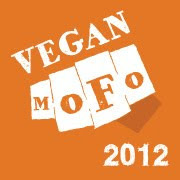 How appropriate since I just made a promise to myself that I would finally participate in this years Vegan MoFo (Vegan Month of Food). 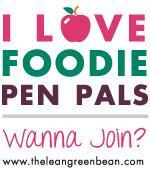 Basically you blog about food (vegan of course) all month long. Some people come up with themes and others just go with the flow. Last year I missed it because I wasn't sure what month it was and by the time I figured it out it was too late. The fun starts in October so stay tuned for more details later this month! Well, there you have it! What's the yummiest thing you've eaten lately? And sweet potato fries too! I have never tried them, but i bet they're delicious with avocado dip, that's something i really want to try! Okay,so I love crepes and since going vegan,I'm looking for a really good and (ideally) easy recipe to make them... Would you be so kind to share yours,maybe? They look so. darn. amazing! Also,I am a sucker for ginger chews as well. Too bad it's almost impossible to find them around here (I'm living in Germany)... Ew. Last month I was sent a package of ginger chews and I have been hooked ever since. Where have they been all my life? Your green smoothie is so bright and delicious looking! Mine are always a really gross shade of greeny brown- not so appetizing! Ha! I've had my share of greeny-brown smoothies, trust me. I attribute this gorgeous color to my mom's amazing blender! Looks good! Do you have a recipe for your green smoothie and/or lunch salad?? ?